Scientists at the Maryland University of Medicine have found a correlation between obesity and bacteria. They suggest that interaction between the genetic factors and the composition of bacteria inhabiting the human gut might be a predisposal factor for obesity in certain individuals. The team of Scientists analyzed the gut bacterial community of obese and lean people who are relatively homogenous in both genetics and in lifestyle. Initially they found no correlation of the gut bacteria and obesity but when they studied the genetic makeup of the participants certain factors began to emerge. One pattern showed correlation by the presence of FTO gene (a gene associated with obesity) and corresponding presence of certain gut bacterial community. 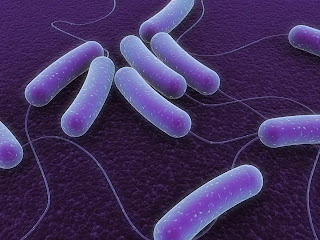 "While this work is still at a relatively early stage, results such as these could lead to applications such as probiotic or antibiotic-based treatments for obesity that could be individualized based on a person's unique genetic and gut microbial makeup," say the researchers. Key words: Obesity, Bacteria Obesity, Gut Bacteria, Fatty Bacteria, Bacteria and Obesity.